There is no doubt about it, a manicure is a treat. Whether it’s a gift from your husband, partner or sibling, or a simple act of kindness towards yourself, it should always be something you look forward to. At Got Nailed? 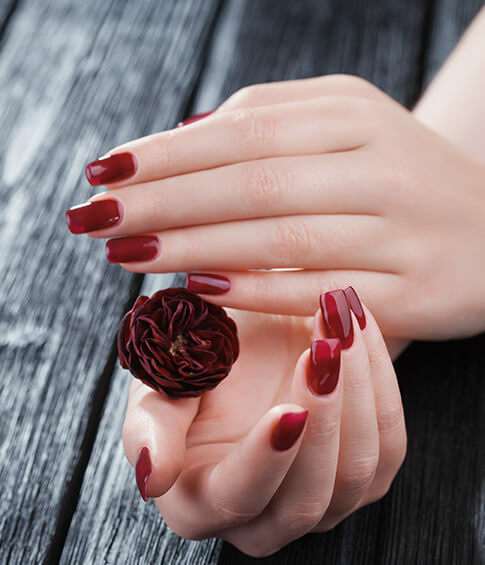 Beauty Bar & Supply we offer the widest and most extensive range of top-quality manicures and our customer-centered approach has proven so popular with our customers. When you visit Got Nailed? Beauty Bar & Supply for a manicure one thing is for certain: you will leave feeling more relaxed than when you got here. Your nails will also look great. So what are you waiting for? In the fast-paced environment that many of us find ourselves in, life can be hectic. Whether it’s work-related stress, the many challenges that come with raising a family or simple day-to-day chores, it is often easy to forget who should be number one. That is where we come in. A gift of a basic manicure from Got Nailed? Beauty Bar & Supply is the perfect way to treat yourself and is guaranteed to have your looking and feeling revitalized and ready for whatever life throws at you in no time at all. Our skilled nail technicians are perfectionists and our basic manicure is the flagship service that we pride our service on. Our team members are trained to assist each customer with what home care will help them maintain optimal results when they leave th nail bar. At Got Nailed? Beauty Bar & Supply our manicure is a truly relaxing affair. Our luxurious nail bar is the perfect place for a much-needed manicure. The elegant surroundings matched by the skill and expertise of our nail technician team will leave you feeling like a million dollars. We believe that it is the combination of traditional and modern manicure techniques that sets us apart, and with cuticle care, nail filing and shaping, as well as nail polish and a hand massage as standard, it is easy to see why. The understated elegance of our French manicure is a classic and popular choice among our customers. Perfect for weddings, dinner parties or other social events, a French manicure will leave your nails looking absolutely perfect. At Got Nailed? Beauty Bar & Supply our nail technicians always apply an initial pale pink base and then add t the customary white tips. The beauty of our French manicure is in its sheer simplicity. This simple manicure is so understated that it can complement all types of styles and its versatility means that it is perfect for almost any occasion. What is a Reverse Manicure? While the beauty of the French manicure comes from its simplicity, the reverse manicure is quite the opposite. Instead of covering the nail with a pale pink base and adding a white tip at the top, the reverse manicure covers the nail in a bold color and is completed with a half moon at the base of the nail in a different, contrasting color. A top qualiy cuticle oil will make not only your manicure last longer, but give your natural nail hydration and flexibility. This is for all nail services you receive. Only 2 things can penetrate your nail, one is oil, which is hydrating, second is water which is dehydrating. Don’t forget to pick up your cuticle oil, home care makes a difference.